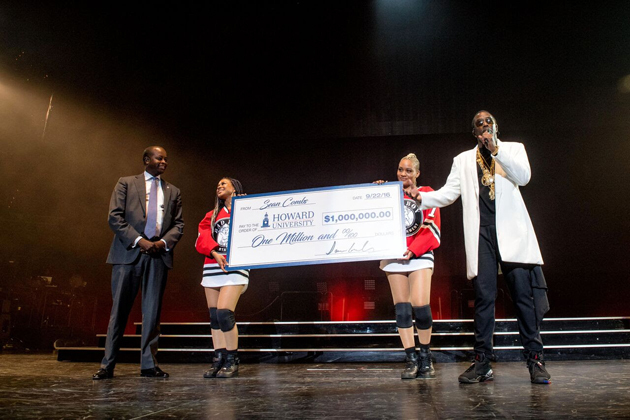 Sean “Diddy” Combs, the Chairman, CEO and Founder of Combs Enterprises, made a $1 million pledge to the School of Business at Howard University. The gift, which was announced by Howard University President, Dr. Wayne A. I. Frederick, will support the establishment and operation of the Sean Combs Scholarship Fund which will help to shape a new generation of entrepreneurially spirited Bison. The pledge was made from the Verizon Center stage during Combs’ Bad Boy Family Reunion Tour, a historic tour celebrating 20 years of Bad Boy Entertainment history. This transformational contribution comes at a monumental time in the University’s history, with its upcoming 150th anniversary in March 2017, and reinforces the Capstone’s status as an academic citadel that continuously produces outstanding leaders. The investment in this historic institution by one of its most influential alumni is indicative of its excellence and his confidence in its bright future. Combs has helped build the next generation of leaders by promoting a culture of philanthropy at his alma mater and encouraging all students to pursue their dreams and shape the future. 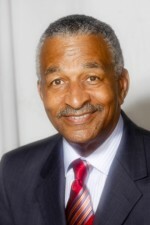 Combs’ professional accomplishments garnered him the highest University honors in the form of the Alumni Award for Distinguished Post Graduate Achievement in the fields of Entertainment and Business in 1999 and the Doctor of Humane Letters, honoris causa, in 2014, a university press release said. "His remarkable success is a source of great pride for the campus community as is his commitment to graciously give back to his alma mater to ensure that current and future students have access to the stellar education that it offers," the press statement added. “I was blessed to receive a great education from Howard University – one of the best schools in the world – and it helped to fuel my success in business and life. This scholarship will make it possible for the next generation of leaders to pursue their dreams and achieve greatness,” said Combs. “When I delivered the commencement address at Howard, I asked the students “Do you know how powerful you are?” I know that Howard students are intelligent, talented, passionate, and their hard work will shape the future. Combs credits Howard University with providing him with the education and resources needed to build and cultivate Combs Enterprises which includes the brands Bad Boy Entertainment, Sean John, Combs Wine & Spirits (Cîroc and DeLeón), AQUAhydrate, The Blue Flame Agency, Bad Boy Touring, Janice Combs Publishing, REVOLT Films and REVOLT MEDIA & TV, as well as ENYCE, Zac Posen, and the Combs Foundation. Combs Enterprises is known worldwide for its award-winning, market-defining successes in music, fashion, fragrance, beverage, spirits, marketing, film, television, media and more. Howard will begin awarding scholarships in fall 2017 to undergraduate Business majors who meet the criteria of a 3.0 GPA and demonstrate financial need with the creation of The Sean Combs Scholarship Fund. In addition to the financial aid component, the recipients will be provided with a summer internship at Bad Boy Entertainment or Revolt Media & TV as well as assigned a Combs Enterprises representative as a mentor.